At their destination, a glance at the display or the LEDs tells you whether the configured limit values have been adhered to. 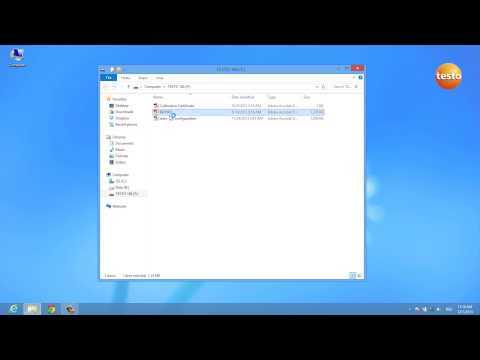 In order to obtain detailed information, it is sufficient to connect the data logger for shock, humidity and temperature to a PC - a PDF report is immediately generated with all relevant data. 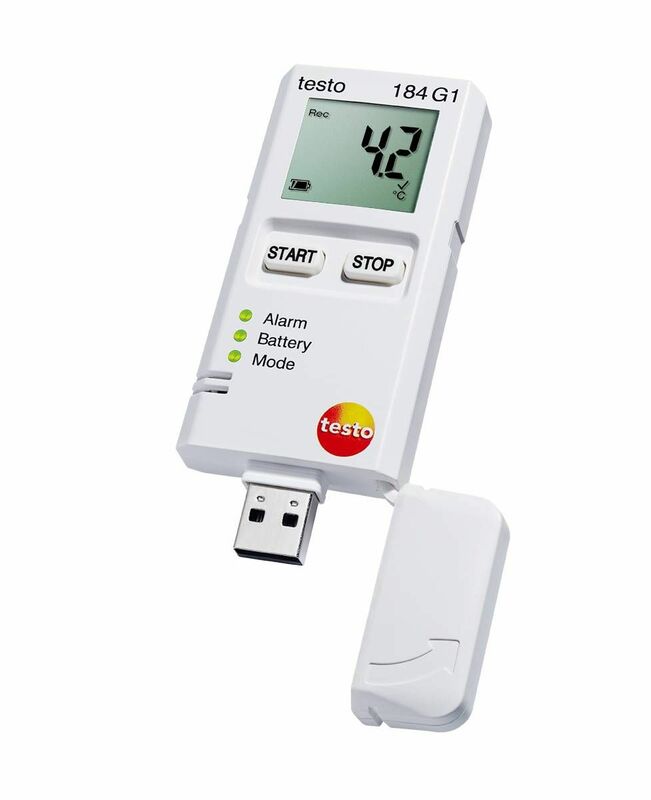 In order for you to be able to work even more efficiently and conveniently with the data logger, all required files and information are stored directly and securely in the testo 184 G1: Configuration file, instruction manual and PDF report of your recorded data. 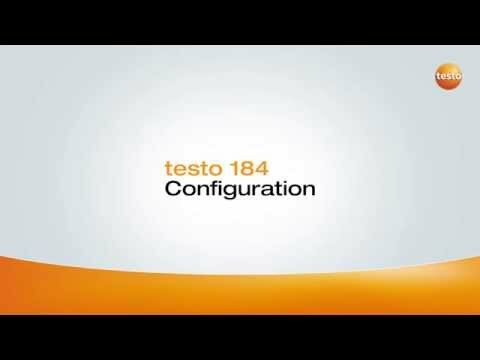 In each data logger testo 184 G1, a configuration file is stored, with which the configuration of the testo 184 G1 is childsplay - no download, no installation, no user interface and no additional costs. 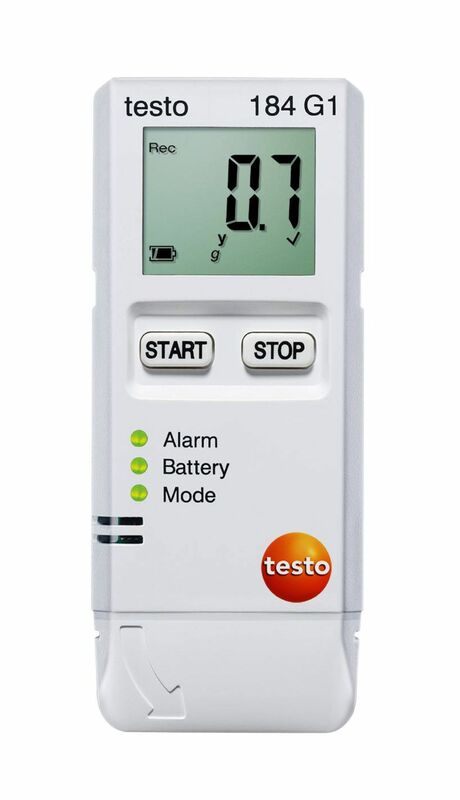 testo 184 G1 - Data logger for shock, humidity and temperature for transport monitoring, battery and 1 piece double-sided adhesive tape for easy attachment of the data logger. Handling foods involves danger to human health at all levels. In order to be able to eliminate them as far as possible, food companies must comply with an HACCP concept which guarantees food safety along the entire production chain – "from farm to fork". 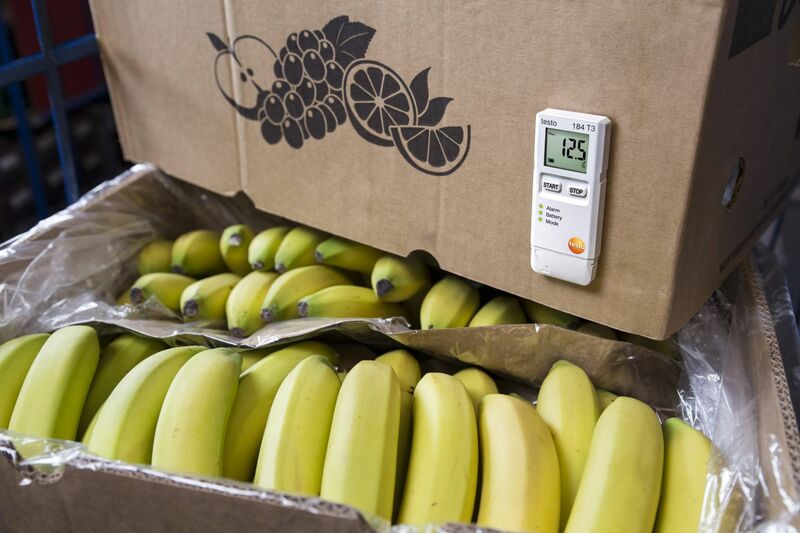 The adherence to product-specific limit values and the uninterrupted monitoring of the cold chain are crucial. 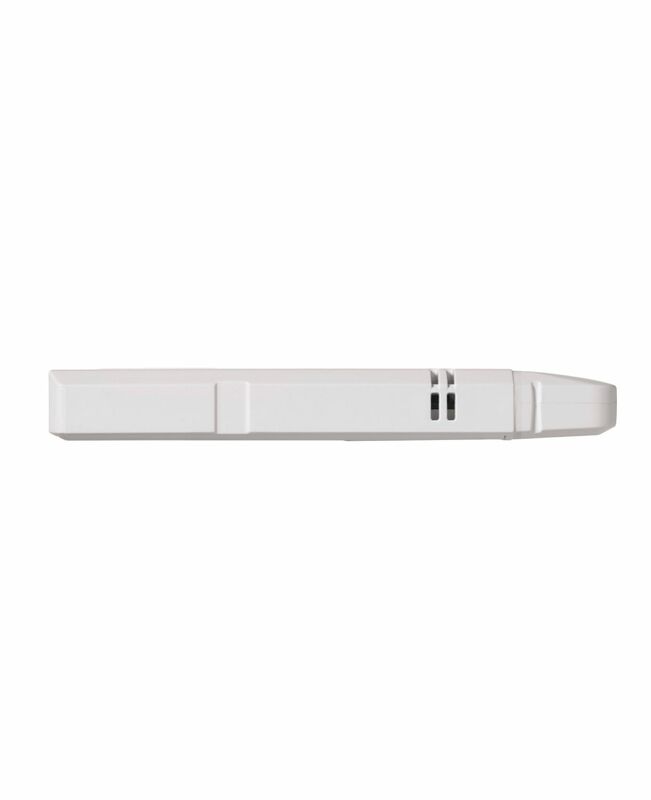 In many cases, the monitoring of humidity and shock, in addition to temperature, are relevant for the maintenance of food quality. 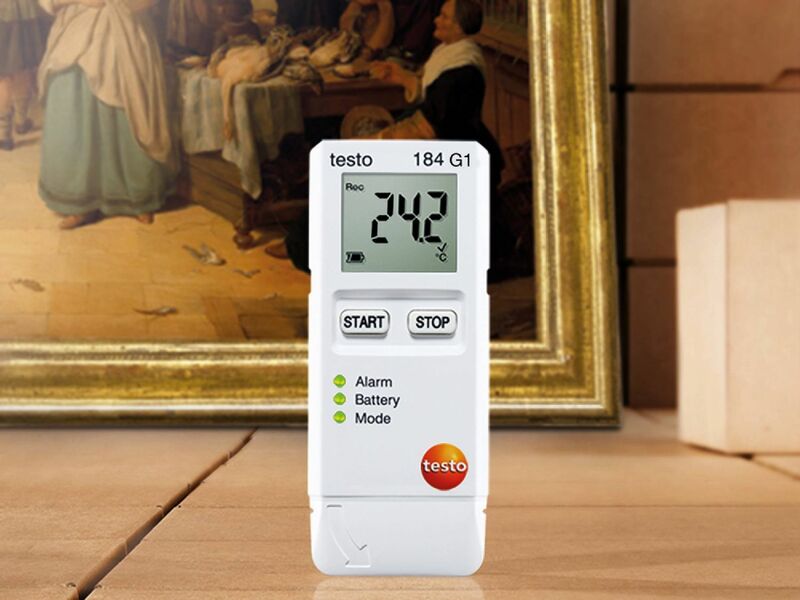 With the testo 184, quality managers in food logistics have six HACCP International-certified data loggers available to them, which monitor and document all critical parameters during the transport of foods. 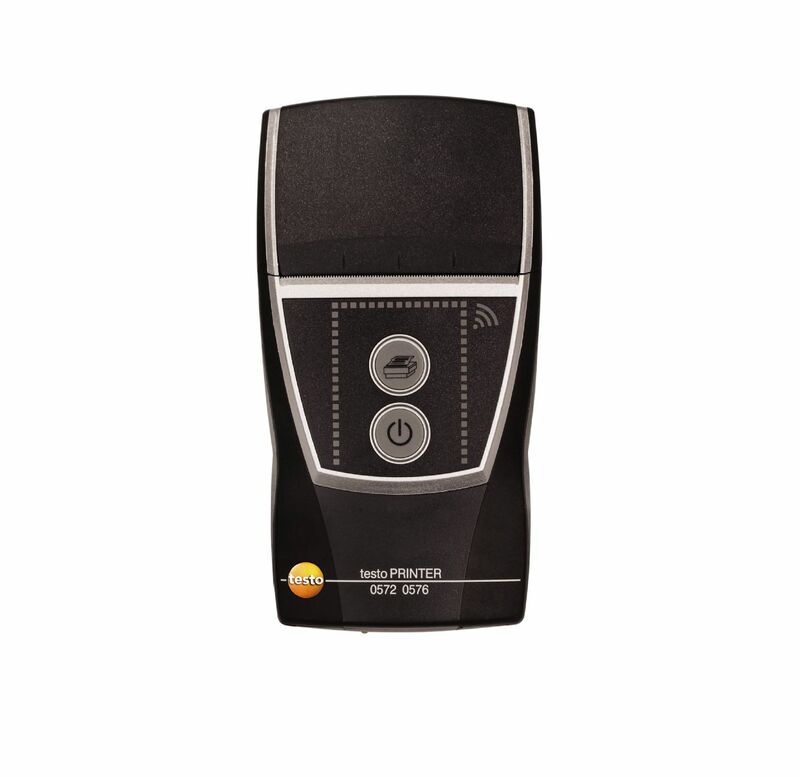 The data loggers testo 184 T1,T2, T3 and T4 have been additionally tested and certified according to EN 12830 by the TÜV Süd, and are therefore ideally suitable for the transport of refrigerated and deep-frozen foods. Providers of logistic service often take on the responsibility for expensive and sensitive products from the fields of pharmaceuticals, food, electronics or art. The wrong conditions during transport can lead to considerable losses of quality, right up to the complete devaluation of the monitored products. 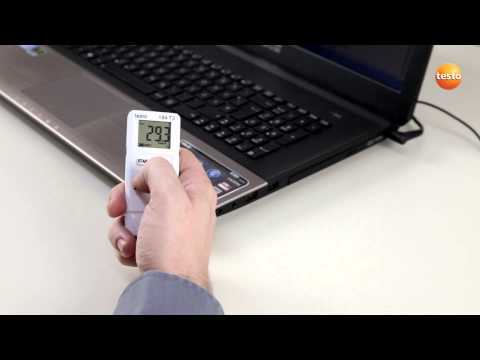 With the help of the testo 184 data logger, the prescribed temperature and humidity limit values as well as the shock tolerance levels can be monitored during transport, and thanks to the automatic report creation, very easily analyzed and documented. This allows all doubts regarding the correct transport conditions to be eliminated. 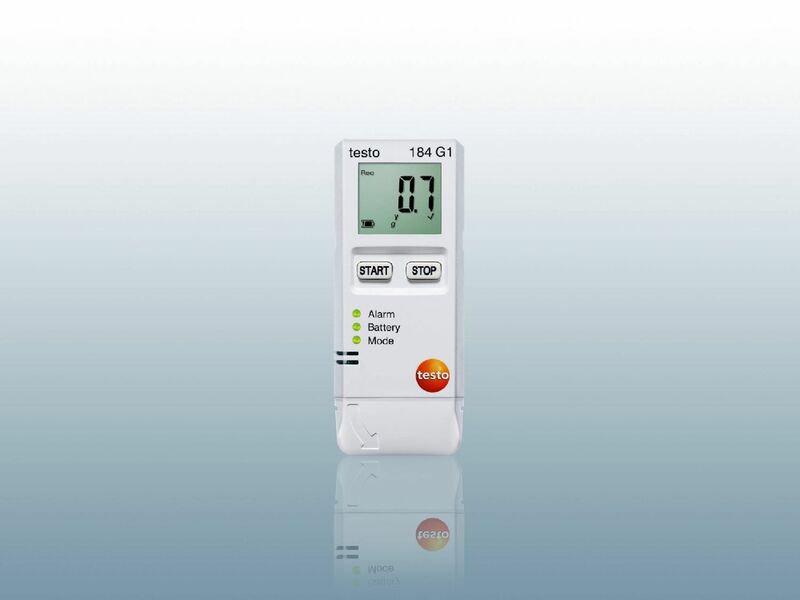 Shock-sensitive products such as electronics, delicate machinery or certain bio-pharmaceuticals can be additionally monitored for the violation of previously defined shock limits with the help of the testo 184 G1. 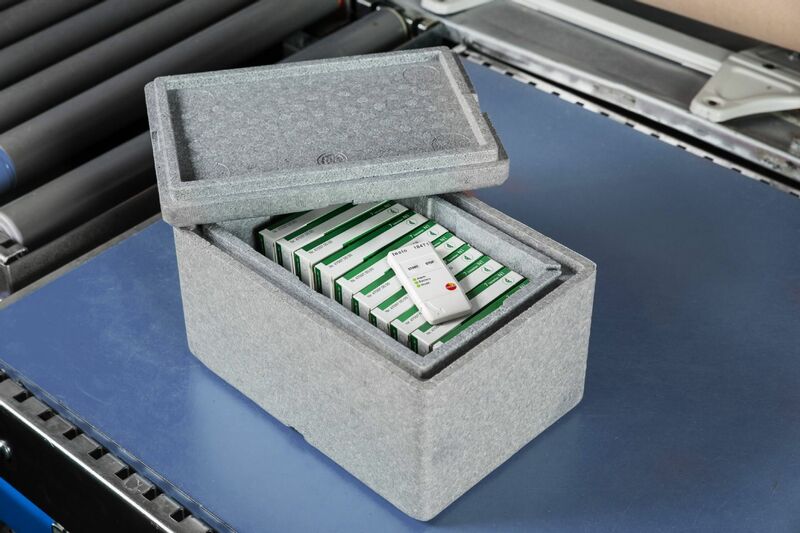 Most pharmaceuticals must be continuously transported and stored at defined upper and lower temperature and humidity limit values, along the entire supply chain. 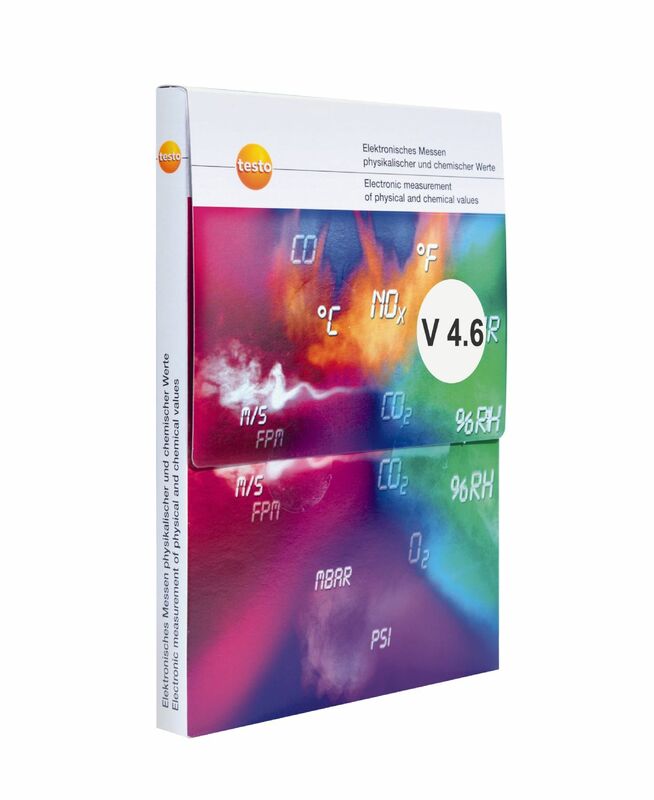 A violation of these predefined upper and lower limit values can lead to irreversible alterations of the active ingredients or the composition of the medicaments. However, not only medicaments and their active ingredients are endangered. Minus temperatures or extreme temperature fluctuations can also cause damage to containers or medical instruments. The consequence is the threat of spoilage of the entire goods, financial losses and damage to reputation. 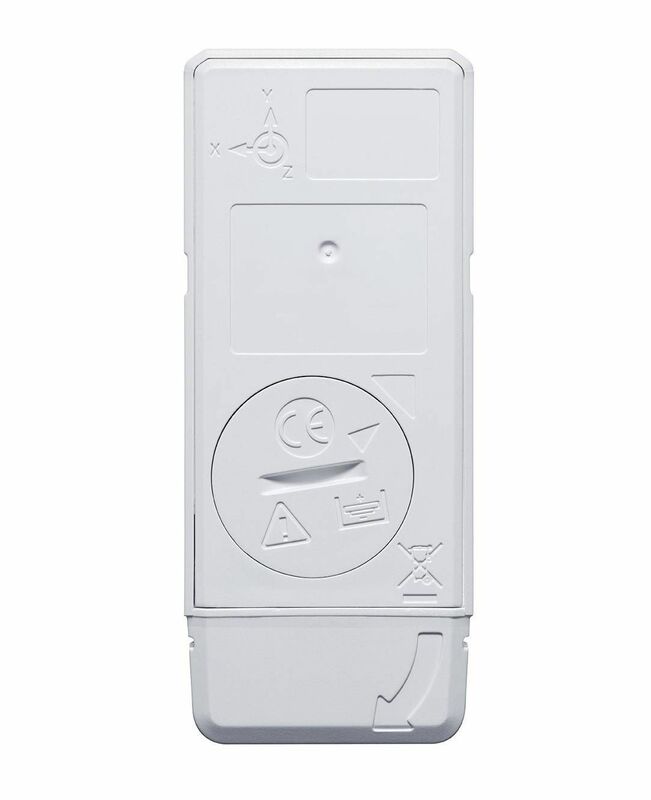 In GxP-compliant quality management, the control of the entire cold chain, from production to delivery, is therefore a prerequisite, in order not only to ensure product quality, but also to prevent financial losses and damage to your reputation in the pharmaceutical industry. 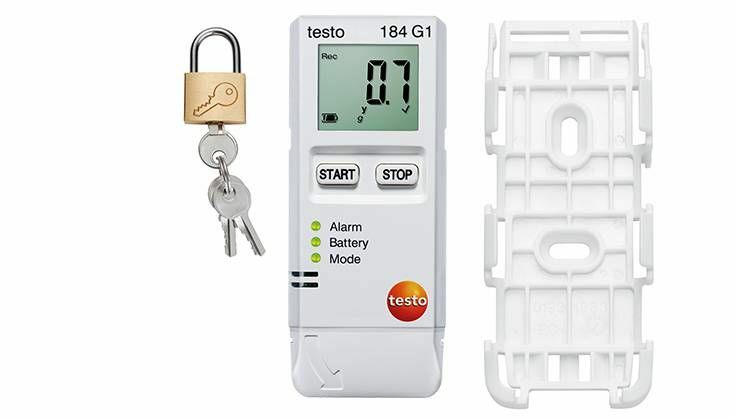 With the testo 184 data loggers, your products can be protected from unnoticed gaps in the cold chain, and the entire distribution path monitored and documented simply, securely and compliantly with all common standards, guidelines and regulations.